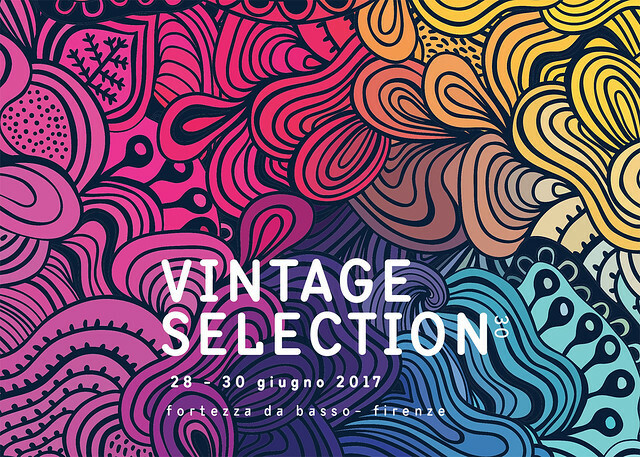 Vintage Selection is one of the most authoritative and prestigious international fairs for vintage fashion and design & quality remakes and, on the wave of the excellent results achieved last summer, it will be maintaining the Fortezza Da Basso as its summer location. In fact the fair will find its dimension inside the Medici Pavilion at the Fortezza, right at the start of the exhibition itinerary of Pitti Immagine Filati 81, which is being held at the same time. A research laboratory that looks at fashions of the past as well as an extremely rich historical archive from which today’s designers can draw inspiration for their collections, every edition of Vintage Selection draws in growing numbers of international exhibitors and visitors. The title-theme for this 30th edition, VINTAGE REBLOOM – is in line with the theme of the Pitti Immagine summer fairs Boom, Pitti Blooms – and will highlight the way in which vintage culture represents the ongoing and repeated blossoming of clothing, accessories and objects from the past that contribute to inventing present and future fashions, with a constantly evolving creativity. Inside Vintage Selection, for the entire duration of the fair, it will also be possible to visit the exhibition “Bloom & ReBloom” which will showcase 20 special looks: a mix and match of garments and accessories from the 1930s to the 1990s inspired by the floral universe. A.N.G.E.L.O. will as always present with a themed selection with unique pieces!We wait for you!